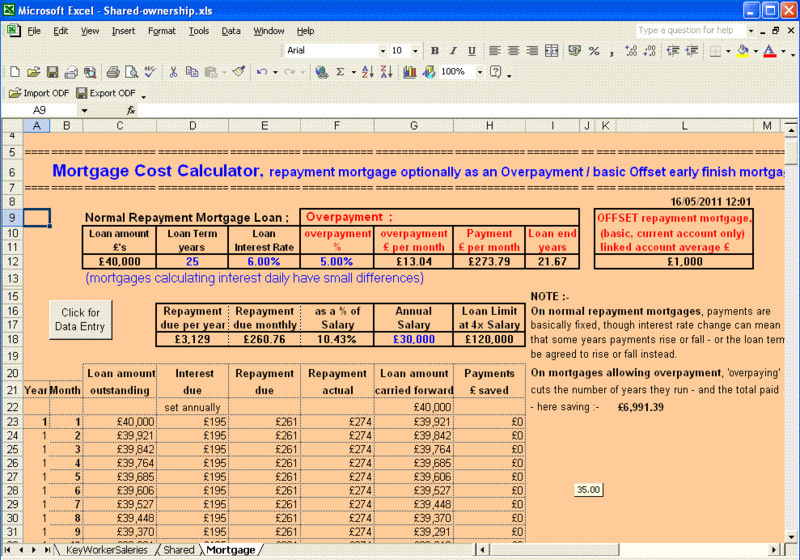 - Excel Shared Ownership Cost Calculator, with linked Mortgage Calculator. To help first time buyers considering Shared Ownership housing, to easily cost it. This easy Shared Ownership Cost Calculator, with a linked Mortgage Calculator, in Excel is a MUST for any first time buyer wanting to know the costs of Shared Ownership - or to sellers of Shared Ownership Housing to help them sell to clients. It costs normal repayment mortgages, and interest-only mortgages and interest for endowment mortgages, or optionally Overpayment and/or basic Offset mortgages, monthly - and these mortgage costs link to the automatic calculation of the cost of Shared Ownership for a prospective owner. And the Overpayment / basic Offset mortgage option reports the savings made, as well as how much earlier it makes the mortgage finish. Also use these easy automated Mortgage Calculators to cost different types of mortgage and their affordability. 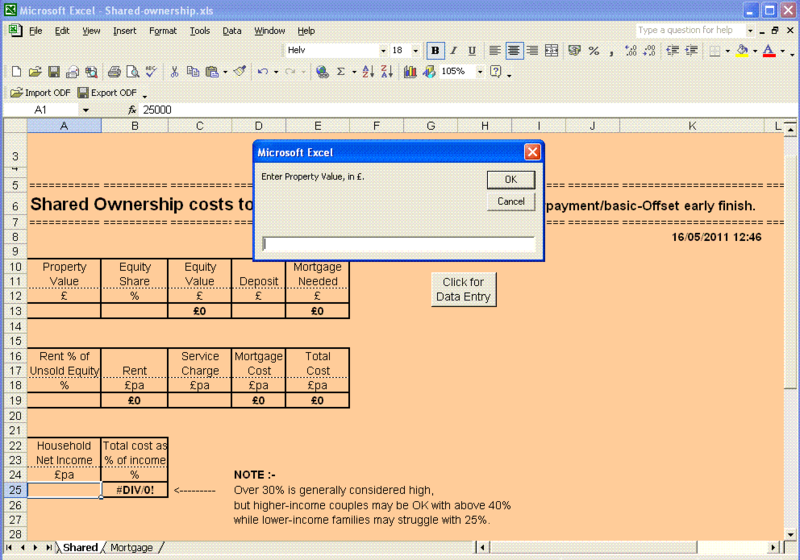 Suitable for all Excel versions from Excel97 onwards, with standard version can be downloaded when order completed. 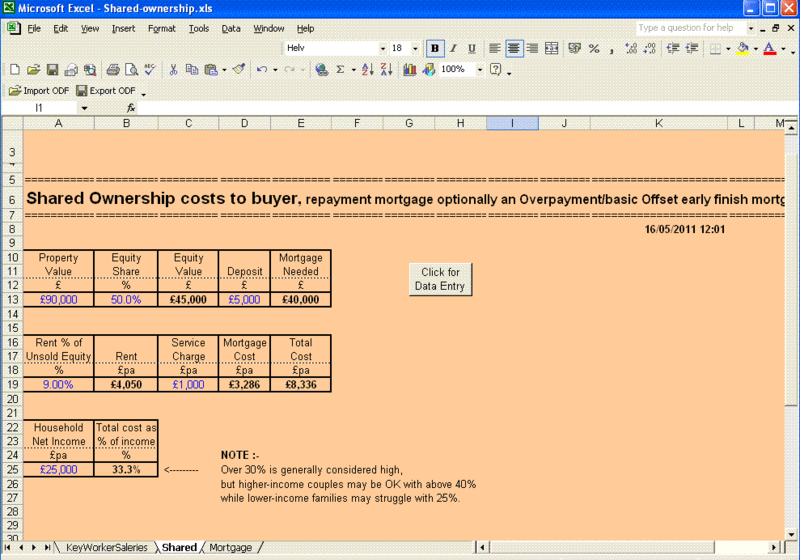 Get these automated linked Excel shared ownership cost and mortgage calculators now for only £15.00, by clicking HERE. AND we do our own great Excel Housing Development Appraisers at good prices. OR see our automated Excel POS point of sale systems for shops in Pounds or Dollars now only £20.00. AND you can download our FREE automatic Excel Free Math Sheet printers for different ages. Or you may want to learn a bit about Advanced kissing, online dating, true love and marriage.